All Tech Engineering machining equipment is precise, dependable, cost-effective, and safe. 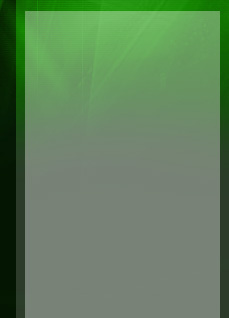 Below are examples that we have designed and built. 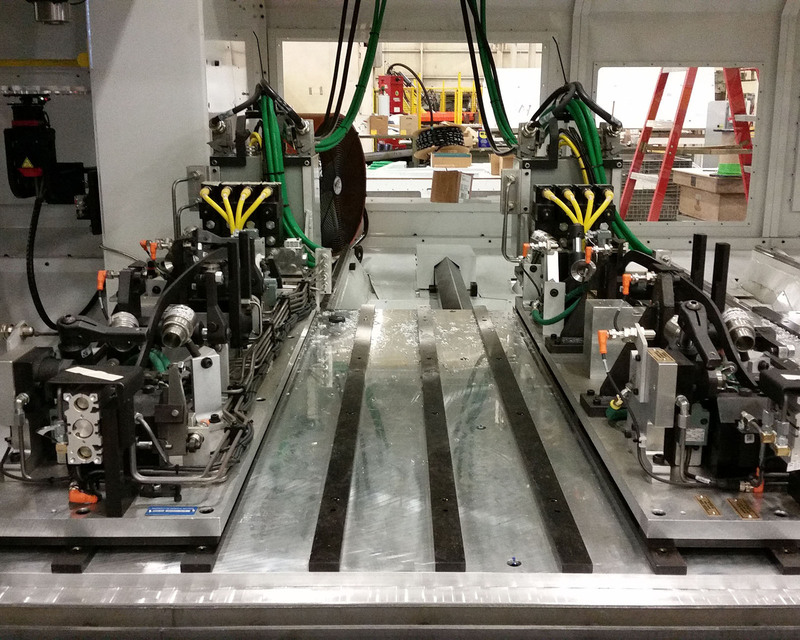 (8) Identical, state-of-the-art CNC holding fixtures and integration into CNC machines. 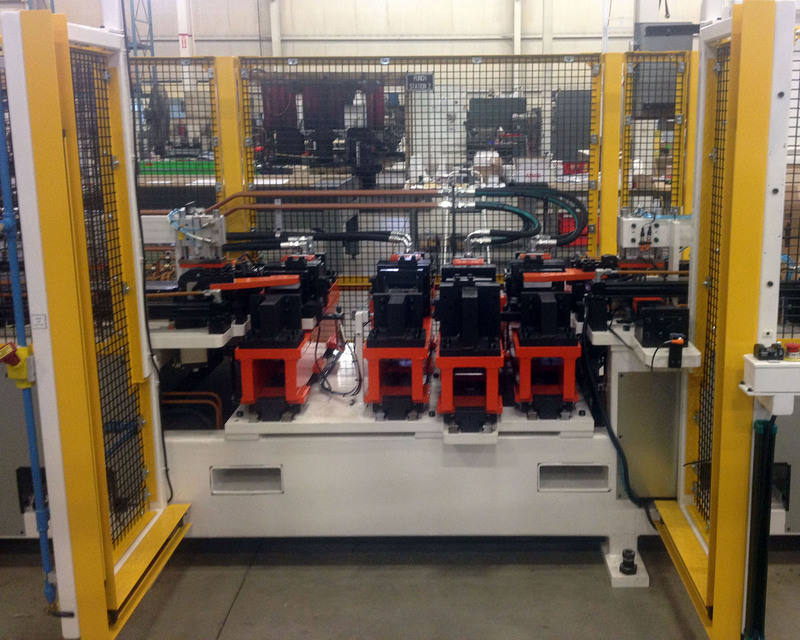 Fixtures include multiple hydraulic clamps, sensors, quick-change pins, and floating work supports. Integration includes safety upgrades, controls, hydraulics, and electrical. 4-nest, manual load/unload equipment to punch various holes into each side of an extruded aluminum part. 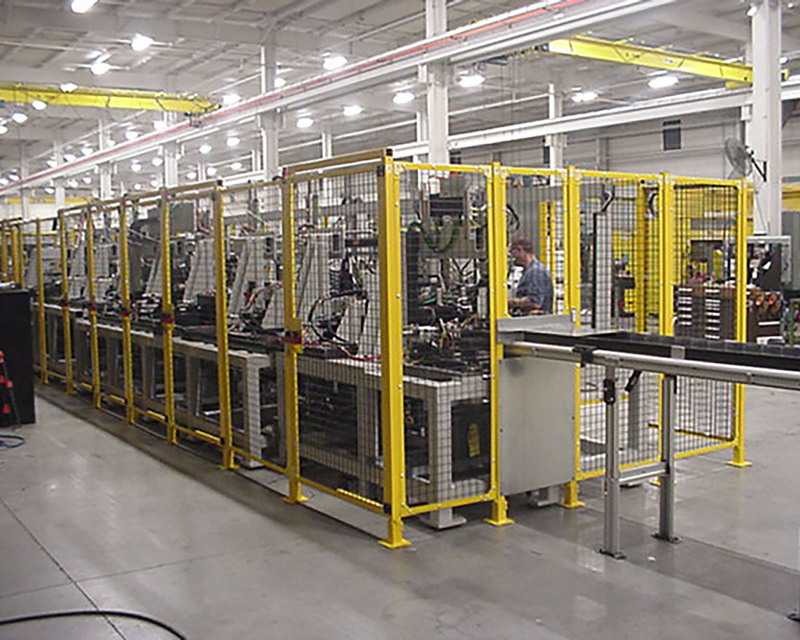 7-Station hydraulic machine to form, pierce, trim, and assemble 3 space tubes into front crush cans.